Unlike other traditional martial arts, getting a belt promotion in BJJ is not easy. A number of traditional martial arts award black belts to students who have been practicing regularly in three years at the most. 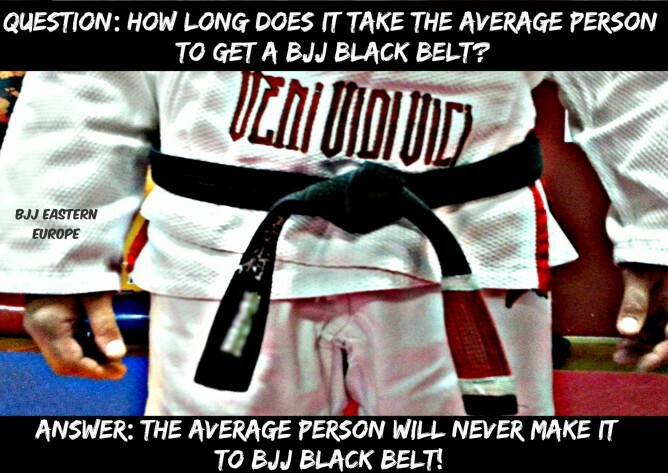 The average time for someone to earn a black belt in BJJ, on the other hand, is 10 years. If injuries, career or any other personal matters happen to be in the way, some students can spend between 15 to 20 years to get their black belts. Yes, there are some rare cases of “prodigies” who earn their black belts from a legitimate BJJ school in less than five years. Some of these prodigies were BJ Penn, Caio Terra and Travis Stevens. However, to call them prodigies is an understatement for their hard work. Penn, for example, trained six days a week and three times a day to earn his black belt. The case was the same for Terra, who practiced almost everyday with multiple sessions per day. As for Stevens, he was already a fourth degree black belt in judo and an Olympic silver medalist when he started BJJ so it was not surprising for him to earn his black belt in less than two years. 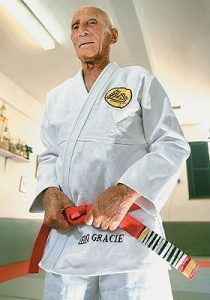 The late Helio Gracie with his Grand Master 10th degree red belt. In the beginning, Carlos Gracie and Helio Gracie only set two colors for belts: white for beginners and dark blue for advanced students and instructors. During the 1960s, the Gracies decided to adopt a new belt ranking system that is similar with Judo, the martial arts which BJJ was based on. The new belt color ranking has been the standard from the 1960s until now. First, all students start with a fresh white belt. Then, the next belt ranks are blue, purple, brown and finally the black belt. Some schools give stripes (degrees) on their belts before the black belt rank and some do not. There is no exact standard for this. After receiving the black belt, a BJJ practitioner is also eligible to earn stripes on their black belt. The degrees start from first degree all the way to the sixth degree for a black belt. Then after the sixth degree, a practitioner will receive a red-black belt for his/her seventh and eighth degree black belt rank. Finally, the highest rank a BJJ practitioner can achieve is the ninth degree, in which he/she will be awarded the red belt. The 10th degree red belt cannot be earned by anyone and has been exclusively given to Carlos and Helio, as the founders of BJJ. Each black belt degree takes at least three years of complete devotion of teaching the art. This means that you need at least 40 years on average to go all the way from white belt to red belt. Why is it so hard and long to get a black belt in BJJ? You need to be able to fight in real life confrontations: BJJ schools do not want to have black belts who only know the exact 27 steps to do a triangle choke. Being able to translate the moves and techniques into a real life fight is what makes a black belt legit and not fake. This is why sparring has become a major part of any legitimate BJJ schools. Without sparring, students will never know how to apply their technique on resisting opponents who also try to choke them out or break their limbs. Other traditional martial arts might give black belts to students who can do moves in the exact steps and choreographs, which is fine if what they are looking for is more of the spiritual and self-empowerment side but BJJ has always been about being able to defend oneself in a real fight. 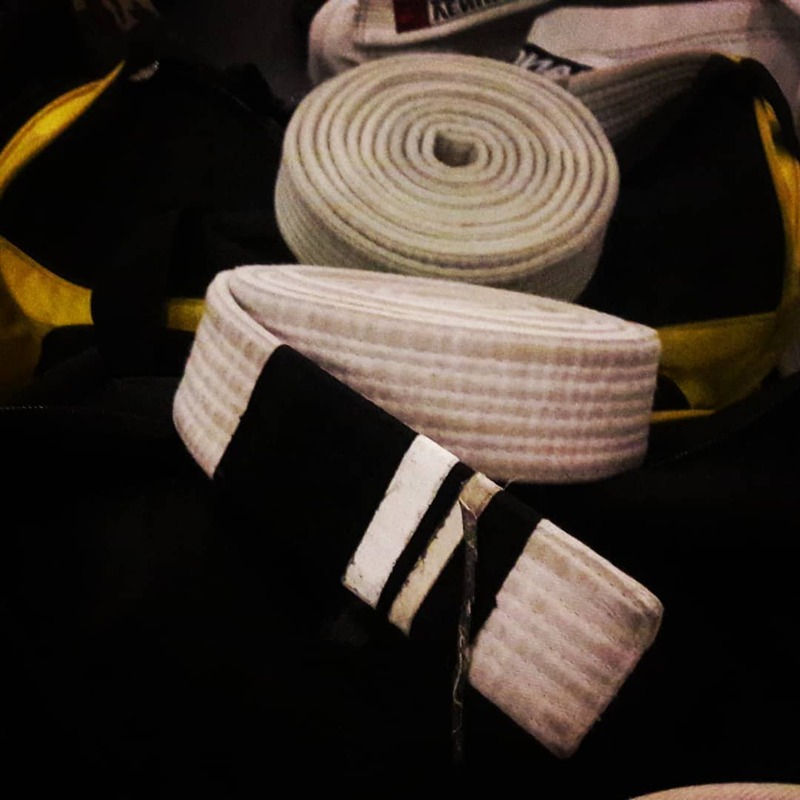 Promotions are subjective to the instructor’s judgment: There is no exact set of criteria or curriculum on belt promotions in BJJ. Each school is different and each head instructor has his/her own opinion on what makes a student deserving of a belt promotion. What I learned from senior members in my gym is to just enjoy the journey and do not think so much about belt promotions. Just keep on training and rolling and eventually the promotions will come sooner than later. Sandbagging: This is perhaps a dark side of BJJ politics that needs to be talked about. Sandbagging is a practice of not promoting students who deserve it because their schools focus so much on winning competitions in the lower belt levels to build their brands and reputation. This usually takes place in countries where BJJ has become a major industry and competitions take place a lot in a calendar year. There are a lot of cases in which students already have black belt skill level but their schools hold their ranks in blue or purple in order to win medals in those divisions. Does the black belt matter? Let’s put it this way; only one out of 100 people who join a BJJ gym earns a blue belt. And out of 100 blue belts, there is only one who can go all the way to black belt. This is a stats often used by BJJ black belt instructors to show how difficult it is to earn a black belt in BJJ. However, do not let the stats discourage you if you want to try BJJ. The black belt is not the only thing you will earn from BJJ. There are so much other things you can get from just starting the journey. New friends and family, for example. You will also learn to adapt to stress and pressure; on how to be comfortable in uncomfortable situations and find a way out. This is a beautiful art and gives so much more than just belts.